The attire for a woman has been the dress since the Victorian age. A dress makes a woman look more feminine and pretty. The styles and patterns of the dress have of course changed with the times and so has the length. Previously all were long dresses reaching up to the ankles and as women grew in confidence, and western cultures became more tolerant to the freedoms women wanted, the dress became shorter. If we look at today’s fashion, many of the formal dresses also come as a short dress which reaches either just above the knees or up to the middle of the thighs. Even with the popularity of the short dresses, long dresses are still very much in vogue and many formal occasions demand the full gown. For attending a black-tie or very formal occasion long dresses are a must. 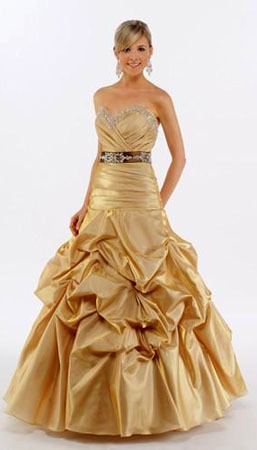 The evening gown is the typical long dress befitting such occasions. There are many different styles now available and one can choose them according to one’s body proportions and height and also the type of occasion you are attending. A long dress can be of a simple design in rich black fabric and it will still look very elegant. 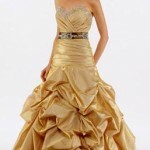 Halter necks, sleeveless or strapless patterns all add beauty and elegance to the long dress. Bridal wear has always been a long dress and this trend has not changed in a long time. Long dresses need not be only for the formal occasion. There is a trend now for the maxi dress which is fit for an informal occasion and it’s also very comfortable. These long dresses are made of light materials and are in a style that gives a loose fitting and provides excellent freedom of movement. These dresses are ideal for women who do not want to expose their very large thighs or are large from the waist down. These long dresses are being worn by many women as maternity dresses as well. Short dresses have become quite popular as cocktail dresses and prom dresses. Even though these occasions are semi-formal to formal, short dresses are still accepted, and they have become the latest trends. Short dresses have certain advantages over the long ones, as a woman with a nice figure is able to show off much of her beauty in them. Short dresses can be quite stunning and at the same time elegant as well. Copyright © 2011-2019. My Dress. All Rights Reserved.